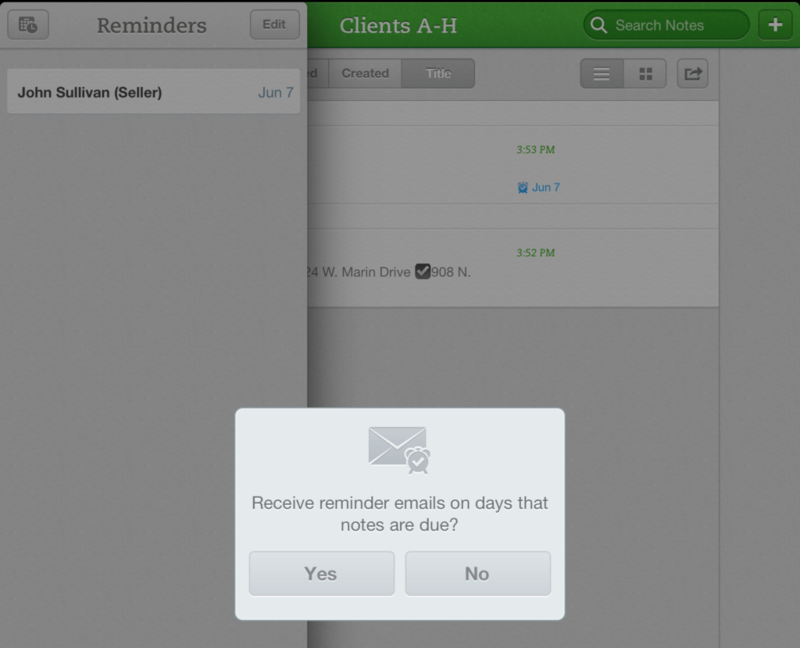 One of the most requested suggestions Evernote has seen is the addition of an alert/reminder system for notebooks. The day has finally arrived! On May 23, Evernote’s blog announced it’s newest feature called Reminders (just make sure you do any Evernote updates first). Collaboration is a big focus with Evernote, especially those who hold an Evernote business account. Alerts and reminders sync between all of your devices so others can subscribe and be notified and reminded when something is due. This added feature also allows for the reminders to be a way to set up notes and to-do’s in order of importance with an easy drag-and-drop feature. Right now, Reminders is available only on Mac, iOS and Web, but there are plans in the very near future to expand this helpful tool to all platforms. Mentions of integrating recurring times and dates is rumored to be in the works as well. Evernote’s tech blog also mentions Devcup and the API updates they’ve made in hopes of seeing more apps that integrate the use of Evernote’s reminders. Let’s take a quick look at the Web and iPad versions. Click on the clock to set up a reminder and let Evernote know if you want a reminder email on the day that your task is due. All reminders are stored in a list on the left hand toolbar. 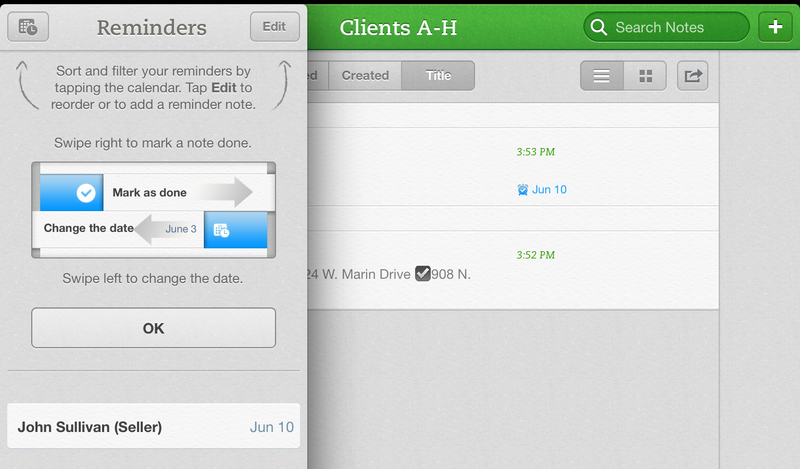 A live notification alert happens within Evernote when you hit a due date. Easily cross off and rearrange your Reminders list as you need. When you turn on a reminder on the iPad version, Evernote will give you a mini tutorial on sorting and filtering your reminders with a swipe left or right. Swipe the task to the right to mark it as done. 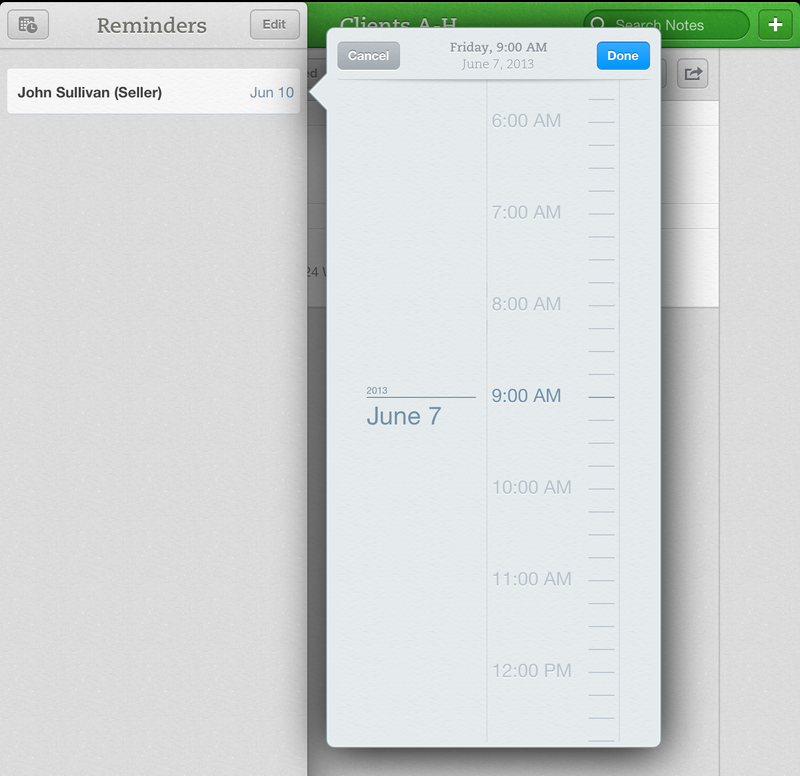 Easily change the times and dates of reminders with intuitive controls on the iPad. When you are finished setting up a reminder, Evernote asks if you’d like to receive an email alert on the days that a note is due. I can’t wait to see how Evernote expands this long-awaited feature. Check out the promo video below. 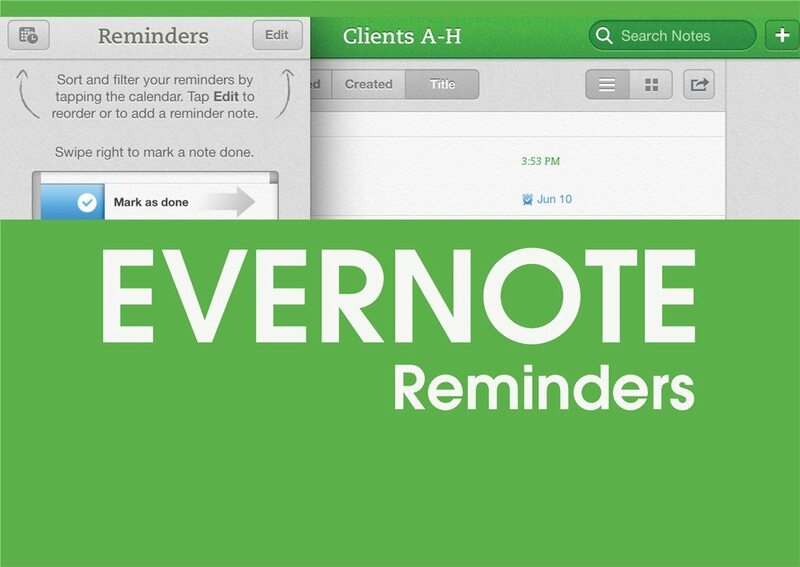 What are ways you’ll use Evernote Reminders? Leave me a comment!